The recent scandal with Volkswagen has driven, finally, a lot of attention to the air pollution on our streets and electric cars as the solution to this very dangerous health problem. All major automakers have announced plans to build dozens of new models of electric cars to address this health hazard and ongoing environmental catastrophe. Maybe you have missed it, but China is now “The Center Of Lithium Universe”. China is already the largest market for electric cars. BYD, Chinese company backed by Warren Buffet, is the largest EV manufacturer in the world and Chinese companies are producing the largest amount of lithium chemicals for the batteries. There are 25 companies, which are making 51 models of electric cars in China now. This year we will see over 500,000 EVs sold in China. It took GM 7 years to sell 100,000 Chevy Volts from 2009. BYD will sell 100,000 EVs this year alone! Chinese companies now control majority of Lithium Hydroxide, critical chemical product (so-called battery grade lithium) that goes into Tesla lithium batteries as well. Panasonic makes lithium cells for Tesla using this product. 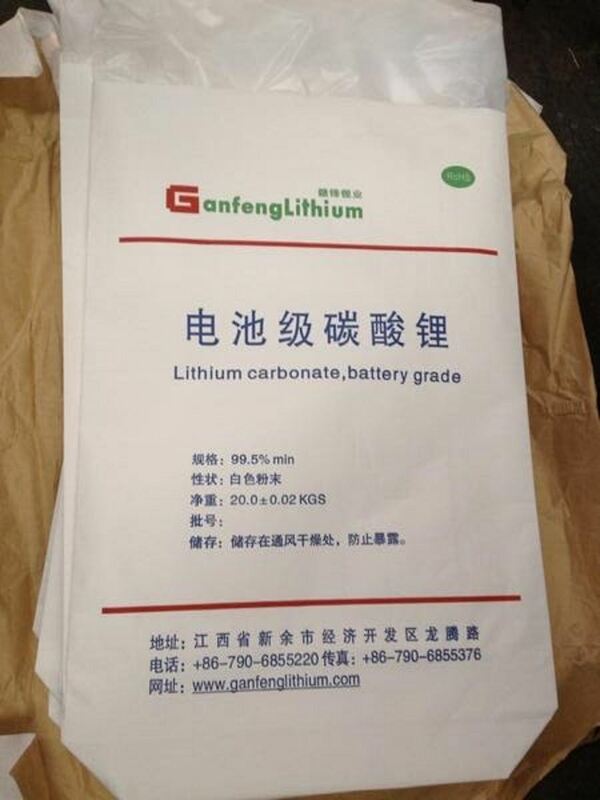 Magazine “Industrial Minerals” has reported this month about Ganfeng Lithium and Tianqi Lithium from China and their incredible growth: “Lithium boom continues to fuel Chinese majors” – Tianqi Lithium and Ganfeng Lithium both saw turnovers more than double in the first nine months of 2016.
International Lithium stands out among other companies developing lithium resources with its Strategic Partner – $4.5 Billion dollars Market Cap giant from China Ganfeng Lithium Co. Ltd.
Last week the news came out: Strategic Partner Ganfeng Lithium to Increase Equity Ownership in International Lithium. “I am very pleased that Ganfeng Lithium is reinforcing its strategic stake in International Lithium. Ganfeng is a worldwide leader in lithium materials production based in China. They provide not only the capital to advance our joint venture projects in Argentina and Ireland, but technology to facilitate potential production to their particular needs as a lithium end-user. Ganfeng holds 19 patents and is the only company producing lithium chemicals both from brine and hard rock spodumene sources” states Kirill Klip, President of the Company. International Lithium develops lithium projects on three continents: in Europe, Argentina and Canada. This year $17 million Canadian dollars were allocated to all ILC projects for development up to the end of 2017. Two J/V with Ganfeng Lithium are financed by ILC’s Strategic Partner: Avalonia in Ireland and Mariana in Argentina. Now ILC have entered into the new strategic partnership with Pioneer Resources from Australia for Mavis Lake and Religh Lake in Canada. This is the implementation of ILC’s new strategy developed for the security of lithium supply for North America as well. International Lithium is advancing a multitude of smaller deposits in the Upper Canada region that possess near perfect accessible infrastructure and that can supply a central lithium carbonate processing facility. With the increasing demand for high tech rechargeable batteries used in vehicle propulsion technologies and portable electronics, lithium is paramount to tomorrow’s “green-tech”, sustainable economy. By positioning itself with solid development partners and acquiring high quality grass roots projects at an early stage of exploration, ILC aims to be the resource explorer of choice for investors in green tech and build value for its shareholders.